Q. When's the Easter Bunny delivering my order? 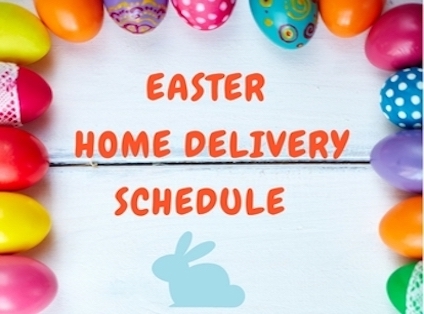 Our Easter Bunnies have made few changes to the MWM delivery 2019 schedule. We cannot wait to provide your family with the finest Easter Fare in the district! Country Run ~ Wednesday 17th April NO Changes to run. City Run ~ Thursday 18th April NO Changes to run. Coast Run ~ Thursday 18th April CHANGES TO THIS RUN for some customers NO DELIVERY GOOD FRIDAY. You've spent ages compiling a cart of country fresh produce, however you'd rather process your payment and confirm your order at a later date. Can you save your cart? Yes, as long as you've logged in as a registered user whilst compiling your cart. Your cart can be located in your user ACCOUNT history. Once you proceed to checkout and confirm your cart it will become a CONFIRMED ORDER and can be found in your account history under ORDERS. This allows you to re order the same produce at a later date. Please note until a cart is a confirmed order produce price and availability is subject to change, especially if you return to your cart after the current week. If you re order a previous order, you can make changes or add weekly specials. To save your cart, please log in or create a registered user account on the top menu my clicking MY ACCOUNT. Check that your cart is in your cart history prior to vacating the site. Q. How do Discount Coupons work? Your discount coupon won't work? OH No! You've come to the right place. Together we will make it work! Some browsers may be case sensitive so type your coupon in Upper Case. You are about to SAVE $$$ off your fresh produce order or even better SCORE free cold chain home delivery. First check that you are a Registered User & not accessing the store as a Guest User! Loyalty coupons are accrued and will be found in your Butcher Box. These coupons can ONLY be used on your account once and are not transferrable. Customers using Guest Checkout will be unable to apply Reward Coupons. Loyalty coupons will not be processed or accumulated on a "Click N Collect" Order. Reward Coupons have a six month expiry. Deals for the general public and can be found on our Social Media sites, predominately Facebook and in our weekly E~Newsletter "The Bull Sheet". Guest Users are able to use a shipping coupon. Shipping Coupons (Free Delivery) still work within the parameters of our Home Delivery T&C. Shipping Coupons will have expiry dates and will not be able to be used after a certain period as detailed in our weekly E~Newsletter. Only registered users with a MWM Online Account will be able to process Reward Coupons at the checkout. Customers using Guest Checkout will not be able to make a Reward Coupon work as the coupon is attached to the registered user. Reward Coupons are not transferable and can only be used once by the registered account holder. Shipping Coupons will be issued with specific terms and conditions, but normally apply to both Registered Account Holders and Guest Checkout users. To get your coupon to work, simply type the coupon code into the Coupon Box at the checkout, and your discount will automatically calculate. If there is an technical issue or you have already used the coupon the computer will not process. If you are processing an order "out of business hours" and your reward coupon does not work due to technical issues, the MWM Online Team will credit your payment method during business hours. If you require any more information regarding our Reward Programs please email a MidWest Meats Team Member during office hours. Q. I created my order but my payment didn't process - what do I do? You created an order, but it is NOT confirmed as your payment did not process. Will it be delivered? No, only confirmed orders will be delivered. Click on "Your order history"
Select the order and click on the REORDER button. Proceed to the checkout and process your payment by EWAY or Paypal. The "new" order will replace the old one, and you will only be charged once. Your payment and your order will be "CONFIRMED" by Email. Your order will be freshly prepared and dispatched on your Delivery Run Day. Please note the PayPal site is an external site that you are being taken to when processing PayPal payments. If the PayPal site is experiencing technical issues this may cause the payment process to experience hiccups. 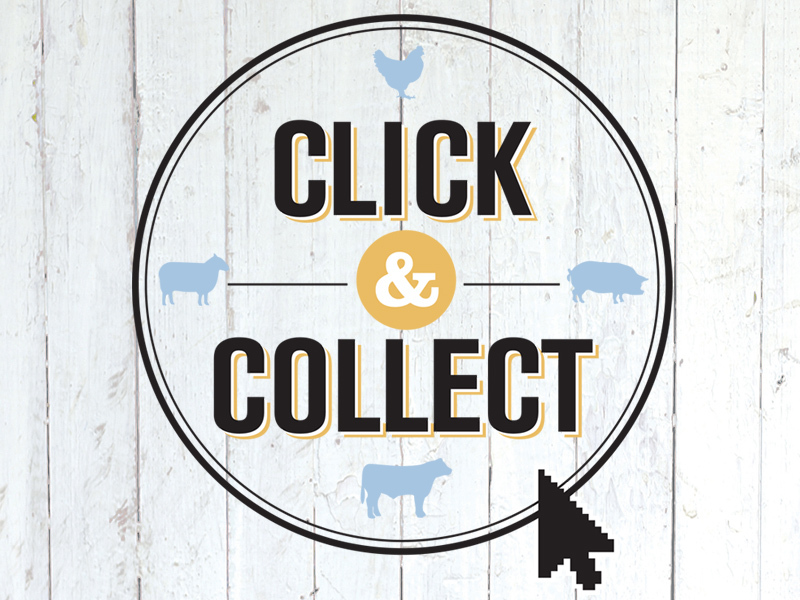 Q: If I collect my “Butcher Box” from the store, do I still pay delivery? No, if you would like to collect your Produce direct from the store and do not require our premium packaging. Simply, use the CLICK & COLLECT process which will void premium packaging fees & delivery charges. All online orders including CLICK & COLLECT must be min. $50 & its FREE delivery for all orders over $150. Yes, if you would like our export quality packaging and Gel Technology to keep your product at the correct Prime Safe product temperatures for many hours. Simply process your order and the $15 standard charge will automatically calculate on your order. Orders over $150 are FREE delivery & premium packaging. When processing your Click & Collect order if you are not in our delivery zone the system will not process your order. Please use your correct address and 3250 as your postcode and the system will processes your order. At the check out in the Special Requirements Section make sure you let us know that you are collecting in store and your preferred pick up date & time that must fall within store opening hours. You will still need to give us notification to get your order ready, but are free to collect any day or time during store hours, however we do not offer a "same day" service. Q: When will my produce order be delivered? Click here for our: Delivery Schedule which outlines when we deliver to you. Let us know if you have a special occasion like a large family gathering or party & we will do our best to get your order to you as per your desired time. You can always ring the store during business hours if you have a meat emergency! We can only make changes to confirmed orders during business hours the day before delivery, as produce packs are freshly prepared and dispatched early in the morning in order to deliver between 8am and 1pm. Q: Where is our produce sourced from? 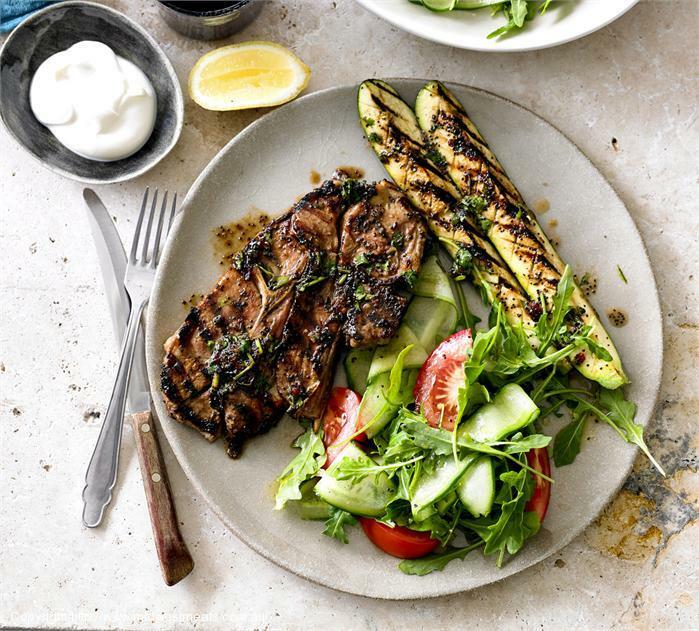 Our produce is sourced from our own farm "RippleVale" Birregurra, as well as other local farmers seasonally within a 100km radius of the store. Most produce is sourced direct from local farmers in our local area, which is classified as The Western District. We also deal in some exclusive Branded meats by request. 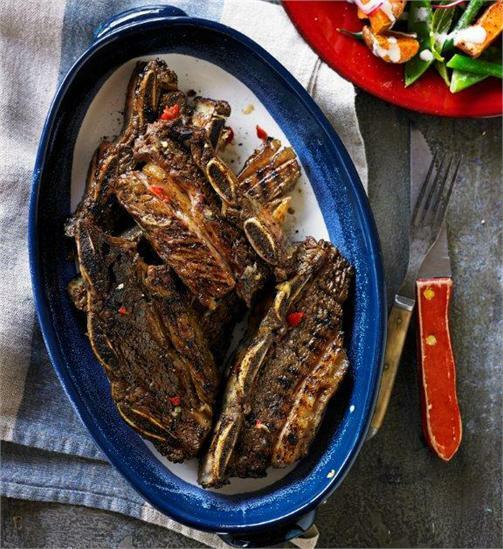 We also stock FARMGATE produce, which simply means produce made on farm by artisan farmers. We have been dealing with the same suppliers for over 40 years, please go to our ABOUT section of the website for a more comprehensive outline of our ethos and supply chains. Q: Is my credit card information safe with you? Your credit card information is safe when you purchase online from MidWest Meats. When you checkout from our online store, your credit card details are securely passed to the eWay payment centre using state of the art 128 bit security encryption. This means that other people cannot intercept your transaction to "steal" your details. You will notice the "padlock" icon in your browser window during the checkout process so that you are assured that this is a secure transaction. Q: I forgot my username or password - how do I reset them? If you can't remember your username or password, just go to www.midwestmeats.com.au/login then click on "Forgot your password" or "Forgot your username". You will be prompted for your email address used to register with us and then a reminder email will be sent to you. You can then login or reset your password as applicable. You can also access the "Forgot password" or "Forgot Username" buttons during the checkout process. Q: Do I have to create an account to buy from your online store? You do not need to register with us in order to purchase. You are free to order at checkout as a Guest User. In order to deliver your order, we require your email address, full name, invoice and/or shipping address and phone number. We will be unable to allocate coupon deals to a Guest User account as we do not retain details. You may find it more convenient to register with us if you intend making regular purchases - which of course we hope you will! Q: Can I add items to my order after it's confirmed? Alternatively if you are logged on, a MidWest Meats Online Team Manager can access your order and make changes during business hours and accept payment manually. Your additional order and payment must be received prior to close of business (5pm) the day before your delivery run. Use the "Special Requirements" section at Check Out to relay any messages to our Team. Please note that adding to your order will not effect shipping charges already calculated on your existing order. 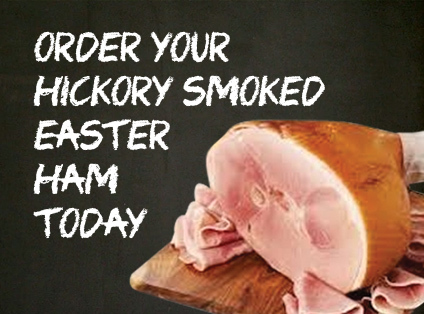 Its really extremely easy to add to your order, we love selling you fresh country produce!